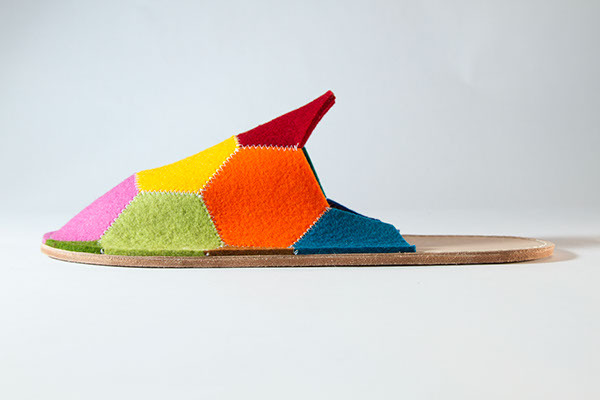 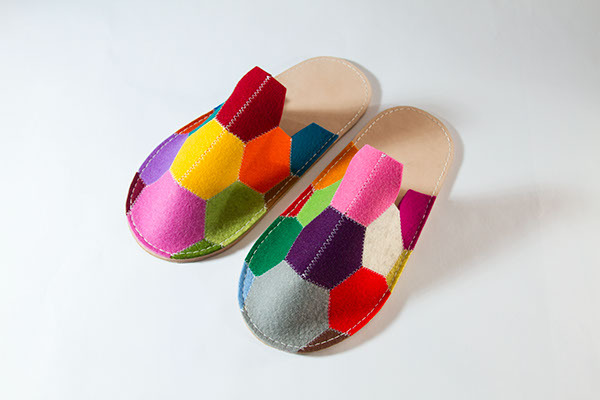 This is a pair of slippers that's made out of Felt sample swatches! 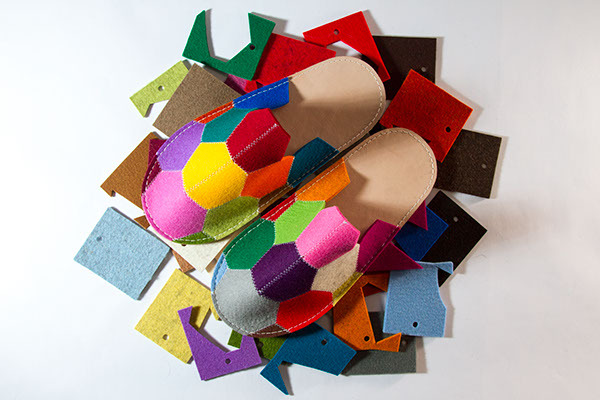 I was lucky enough to acquire a ring of felt sample swatches for free from a very kind company. 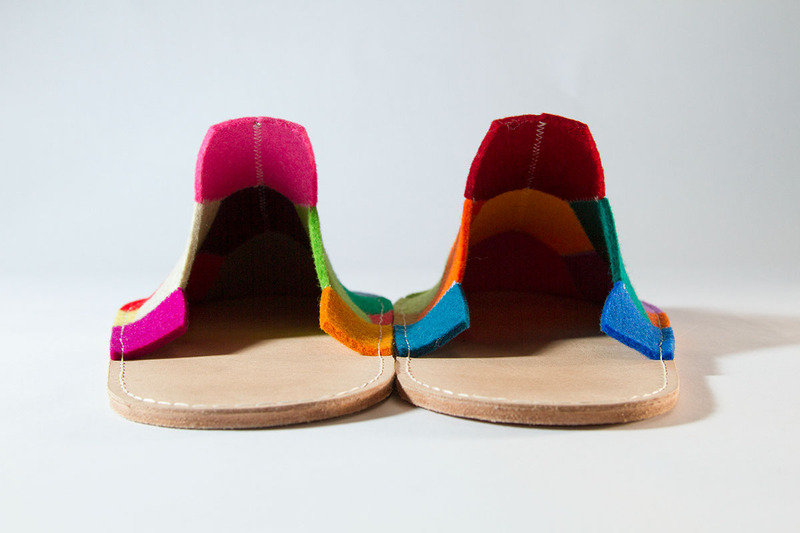 The project became to investigate a way to apply the tiny swatches into the upper. 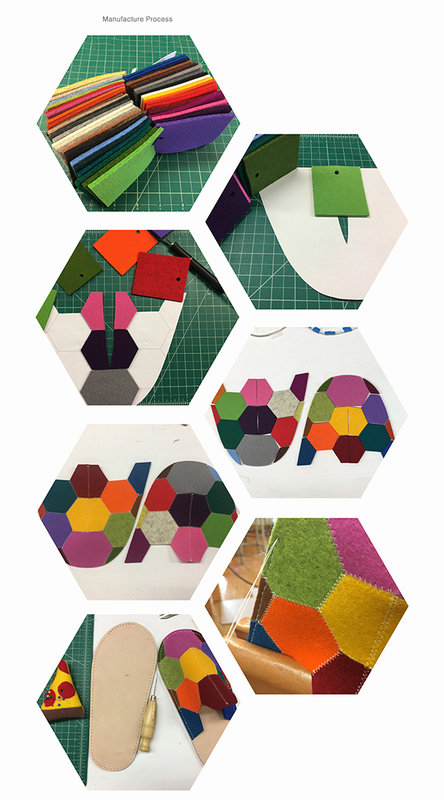 The solution was designing a webbing pattern by sewing these swathes together. 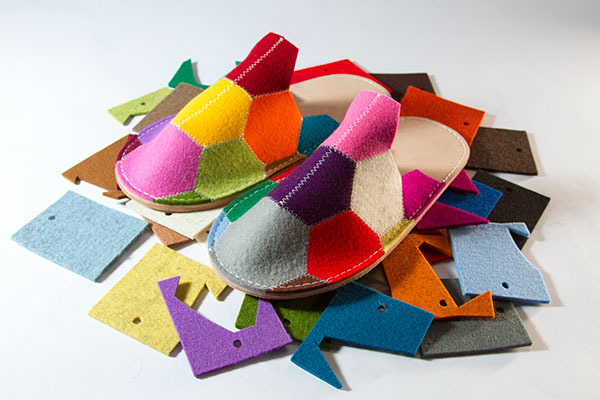 Each panel is small enough to be sourced from a felt swatch. 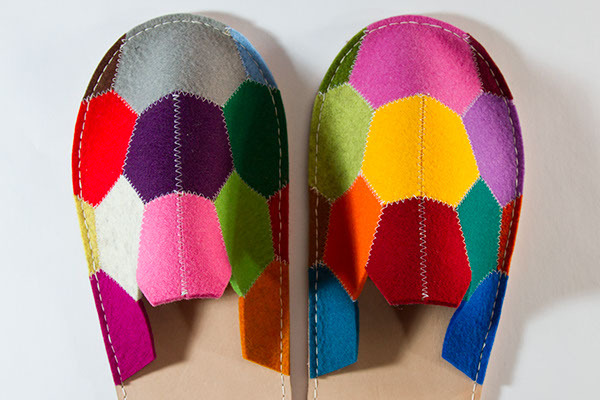 Hexagon proved itself to be the most efficient in the usage of swatches. 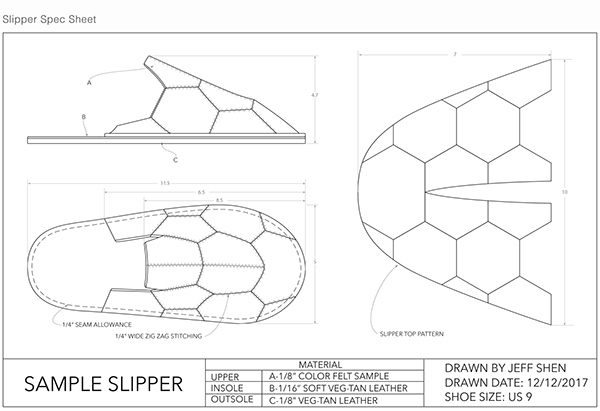 Several prototypes were made prior to the final product. 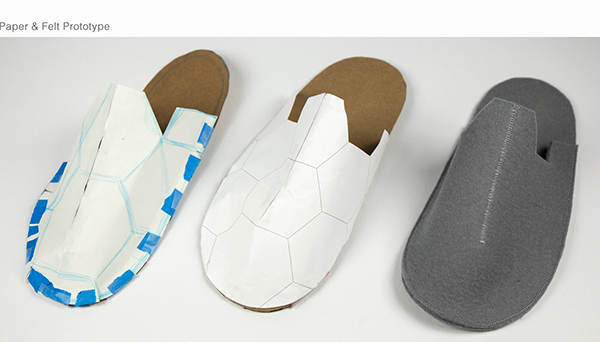 The 1st paper model was made to design the shape of the upper, and possibility of pattern. 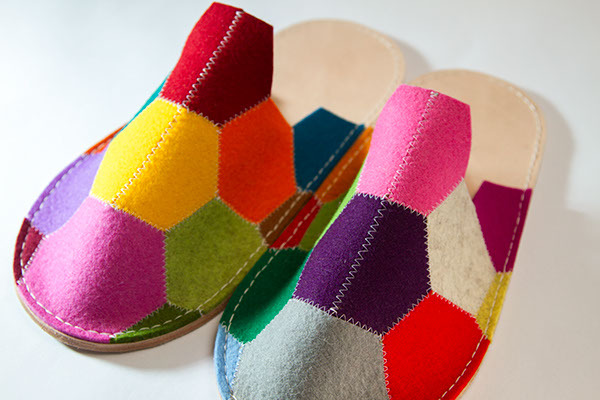 The felt model was made to realize the slipper in the same material, and to test the comfortability. 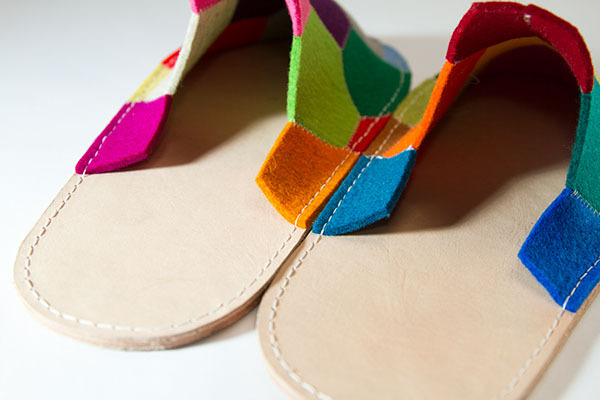 The seam in the middle bulges up the shape and turn the flat pattern into a 3D form. 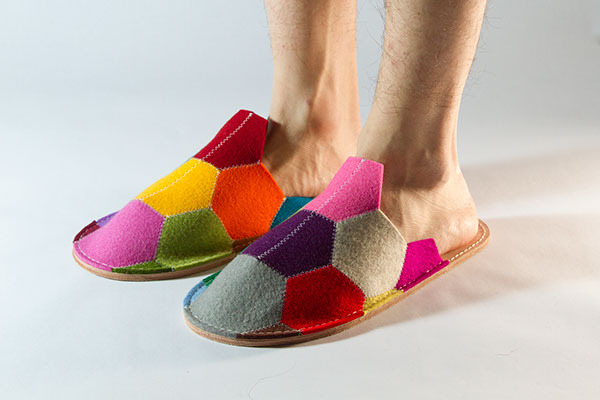 Sample slippers are a pair of slipper composed of a bunch of tiny felt sample swatches. 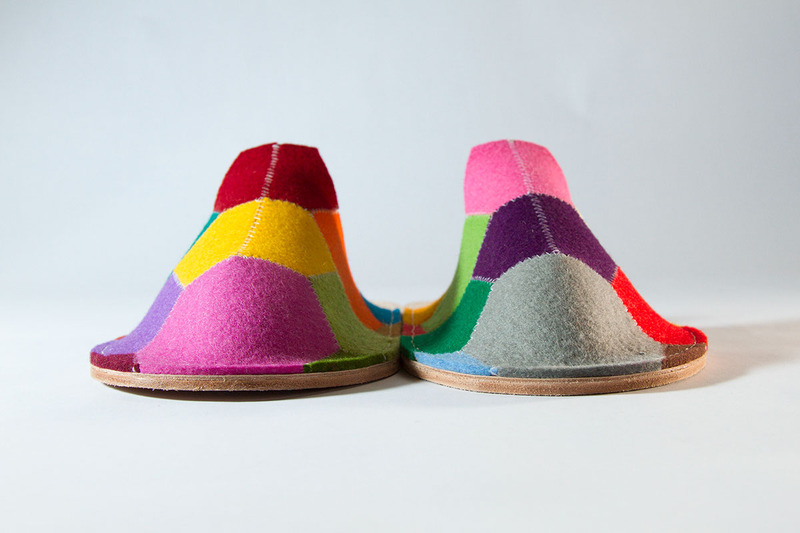 It was an experiment of the felt material as well as the sustainable aspect of material cycle.